I’ll never forget the indelible impression a tiny mustard seed encased in a sterling silver charm made on me during adolescence. My Aunt explained that she wore it because it reminded her of Jesus’ words in the New Testament referring to faith. At that time, I was only concerned with the outward appearance of the trinket itself. Now in my adult years, I am gratefully aware of the truth of Jesus’ parables spoken in the book of Matthew, chapters 13 and 17. I’ve had several recent experiences where these parables have come alive for me and totally caught me off guard. Remember, I live several thousand miles from my designated hometown, in a culture vastly different from the one which shaped my belief system. However, one recent rainy afternoon, as rain splattered my front windshield and obscured visibility to nothing I saw faith in action. My first thought was that the fuses which provide electrical power don’t last long here in humid Costa Rica – my dear Costa Rican friend put her faith into action, placed her hand on the windshield, prayed aloud, and continued whispering prayers to remedy the situation. In awe, I watched as the wipers sprang to life about 2 minutes later. When I’m at my desk, time gets away and my accomplishments rarely match my plans. But once a month if at all possible I take a personal retreat day….for prayer, relaxation, reading, planning, and most difficult of all, thinking without distractions. This little building is designed and reserved for exactly that purpose. 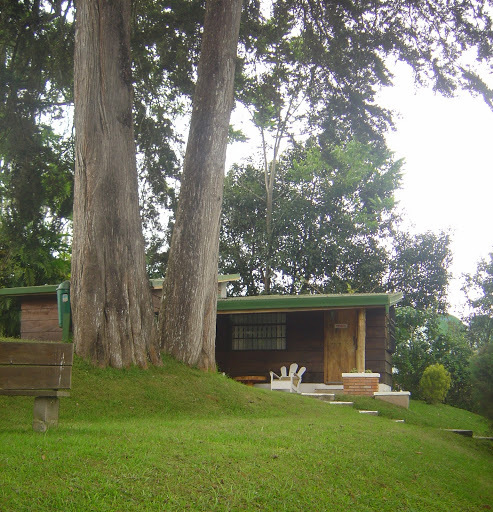 Just ten minutes from our home is a Pastors’ Center that provides counseling, relaxation and a retreat for Latin pastors and leaders. They graciously allow me to use this separate place for my personal retreat days for around seven dollars. Today was one of those days, and I have returned home refreshed, renewed and having accomplished planning that was woefully behind. I highly recommend this practice to anyone, no matter what your vocation. We are in the middle of the rainy season in Costa Rica. Up here in the Central Valley (4,500 foot elevation) that means chilly (down to 60 degrees) weather and huge downpours. Yesterday was no exception. 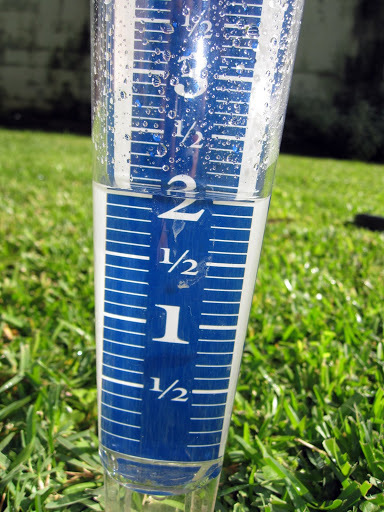 Our fancy plastic raingauge showed two inches of rain…and that came in just two hours! Combine the frequent rains with rich volcanic soil and moderate temperatures and you’ll understand why Costa Rica is filled with beautiful flora this time of year. 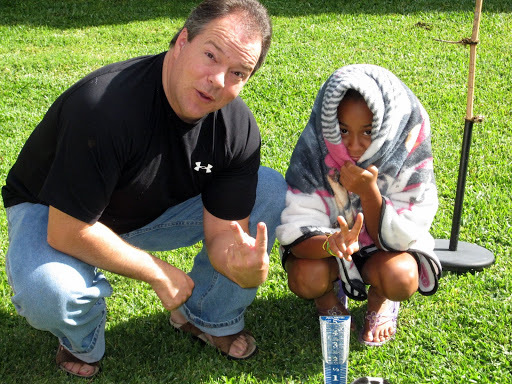 You can virtually throw a seed anywhere in the vicinity of the ground and it will grow and thrive. As we approach the end of our third year in Costa Rica we find more and more to appreciate about our adopted home. Good friends, both foreign and Tico, relaxed and friendly culture, and beautiful surroundings. This gig ain’t bad! 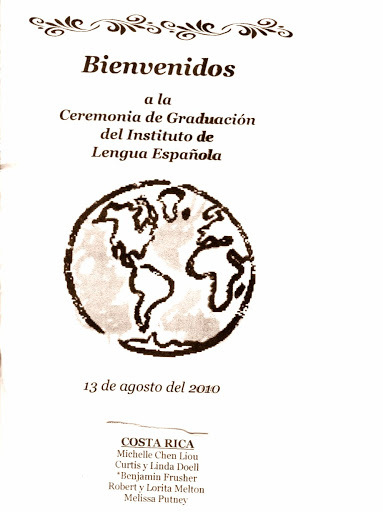 One may easily forget how a annual tradition for many Costa Rican citizens can directly impact life. After four weeks of ministry opportunities in Haiti and varied locations across the US, we were ready to return home and get back into a routine. Reintegrating into a slower-paced lifestyle punctuated with Spanish is now as familiar as the taste of a freshly baked Nestle’s chocolate chip cookie or my favorite stateside craving, a Chik-fil-A chicken sandwich! 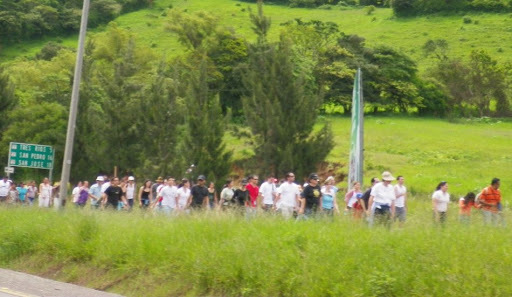 The first sight of people walking along the highway and Calle Vieja early one Sunday morning in late July made us wonder if there were a walk benefiting a local charity, but experience confirmed that it was the early arrival of the first of several million romeros returning for the annual La Romeria from points across Costa Rica. 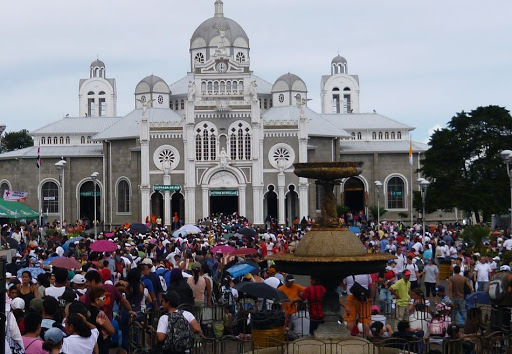 The faithful pass through our tiny barrio to the old capital, Cartago where they pay homage to the patron saint, La Virgen de Los Angeles (La Negrita) in la Basilica de Los Angeles. Larger crowds had been expected this year as government officials fearing spread of H1N1 influenza cancelled the festivities in 2009. The last time we experienced this (2008), the kids and I hunkered down at home and made trips to the local pulperias for veggies, fruit and bread until the millions passed. right outside our front gate. 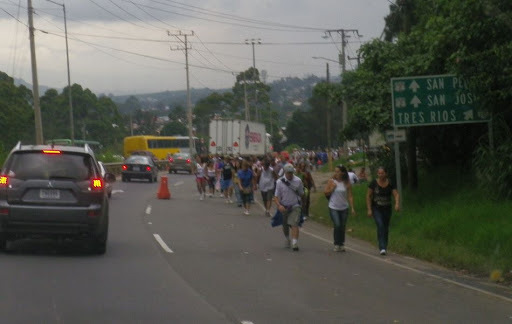 It looked like this Saturday on the hill past our town but by the time we returned Sunday many more crowded 100 meters from our gate where a Transito roadblock stopped us. We had made alternative plans should our access be denied, but a collective sigh of relief and a satisfied family contently remained inside our refuge for the next 20 hours…with occasional trips outside the gate for milk and snacks, for a glimpse at the swelling crowd; for as of 7 AM tomorrow, only the overflowing trash bins would indicate they had passed through. 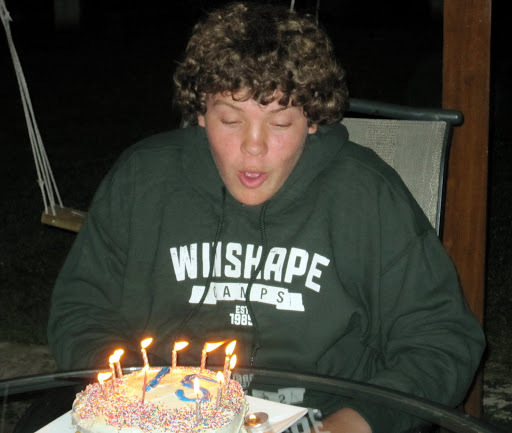 Cakes don’t always come out the way they should, and the one for Ben’s 15th birthday had a cracking problem. But no worries…the boy who wanted a car crash cake for his third birthday got an earthquake cake for his 15th ….appropriate for this land of shakes and quakes.